KCT Employee life on Instagram! 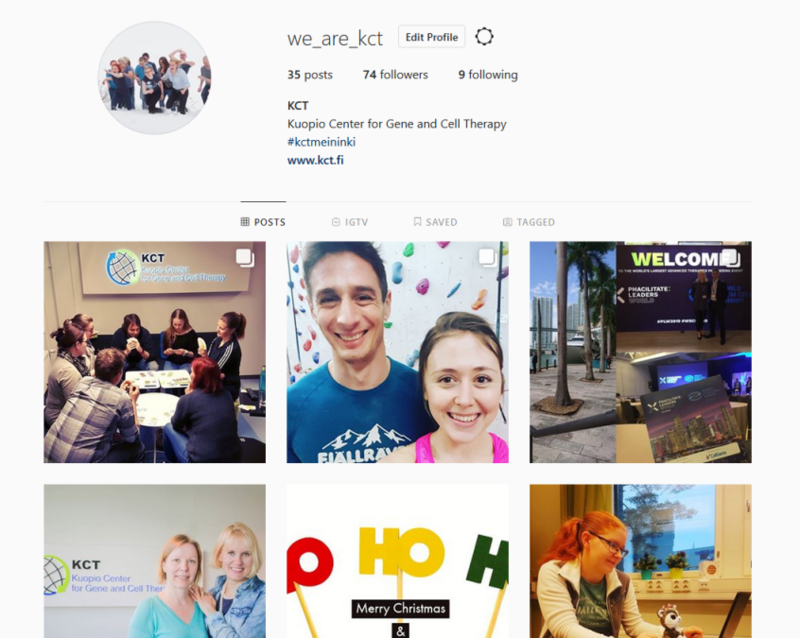 News > KCT Employee life on Instagram! We've decided to share with you our everyday-life at KCT through Employee Stories. The stories will be visible at KCT Instagram as well as LinkedIn and Facebook. You have the unique opportunity to see the every-day life of our Scientists and Technicians and learn more about KCT! We will start tomorrow, so in case you are still not following us in social media, hurry up and do so!